Resilient Silicon Valley is a project of the San Francisco Estuary Institute to build the science-based framework needed to guide the design of and investments in regional ecosystem health. Drawing on resilience science, regional data, and local expertise, we will develop the vision and tools that will allow stakeholders in the region to ensure that local actions contribute toward the creation of a high-functioning and resilient Silicon Valley ecosystem. 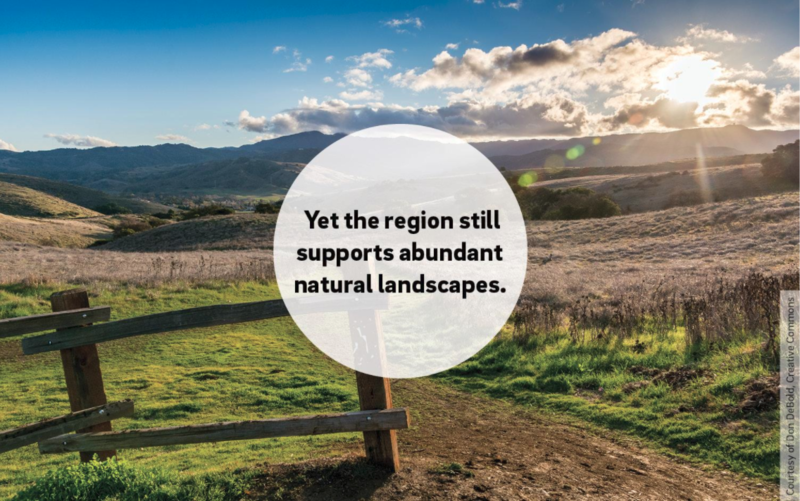 The Resilient Silicon Valley project draws upon SFEI’s extensive regional expertise, data, and partnerships to lay the scientific groundwork needed to guide investments in regional ecosystem health. In the first phase of the project, SFEI is collaborating with Google’s new Ecology Program to apply the framework in support of adaptation and restoration strategies with real benefits for the Silicon Valley. The vision developed through the project will provide a strategic basis to inform local design and planning efforts and allocate resources that support a holistic vision of healthy ecosystems. We hope it will ultimately become a shared guide across Silicon Valley for those looking to contribute to regional resilience. We have developed a framework and vision that identify important components of ecosystem health and resilience based on scientific literature and input from a panel of expert resilience advisors. 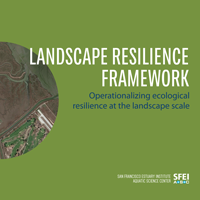 We are applying the Landscape Resilience Framework through two related projects focused in Silicon Valley — Re-Oaking Silicon Valley and A Vision for Landscape Resilience — where, in each, we identify the specific ways to promote resilience in the region. The following demonstration projects are being supported through a local awards program funded by Google to inspire collaborations across local environmental groups in alignment with the science and vision of the Resilient Silicon Valley Framework. We are synthesizing social and environmental data spanning the past, present, and future Silicon Valley to analyze landscape characteristics and change over time and illustrate future potential. You might be surprised to discover that Silicon Valley, one of the nation's premier technology hubs, is home to abundant natural habitats and wildlife. We feature a slideshow, The ecological history of Santa Clara Valley in three minutes, that takes you on a quick trip across the Valley and through centuries of ecological time. The San Francisco Estuary Institute is an environmental science non-profit that uses cutting-edge science research to develop visions for adaptive, resilient ecosystems across California. For more information on SFEI or the Resilient Silicon Valley project, contact Robin Grossinger (robin@sfei.org). SFEI also has a number of past and ongoing studies relevant to the Resilient Silicon Valley project. These include historical reconstructions of Western Santa Clara Valley, Southern Santa Clara Valley, and the Coyote Creek Watershed, as well as studies exploring landscape resilience for the Sacramento-San Joaquin Delta and Bay Area creeks. 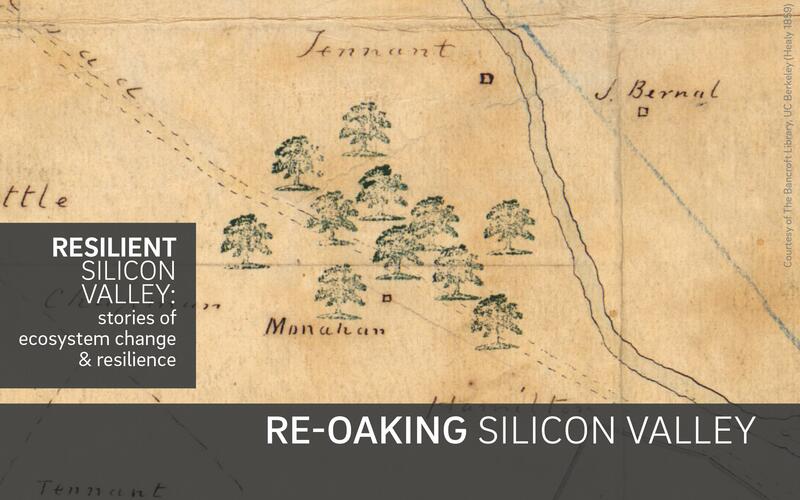 Resilient Silicon Valley is funded by charitable contributions from Google's Ecology Program. The mission of Google's Ecology Program is to collaborate with scientists, designers and community members to design vibrant living systems in the communities Google calls home. For more information, contact Ecology Program Manager, Audrey Davenport (ecology@google.com).